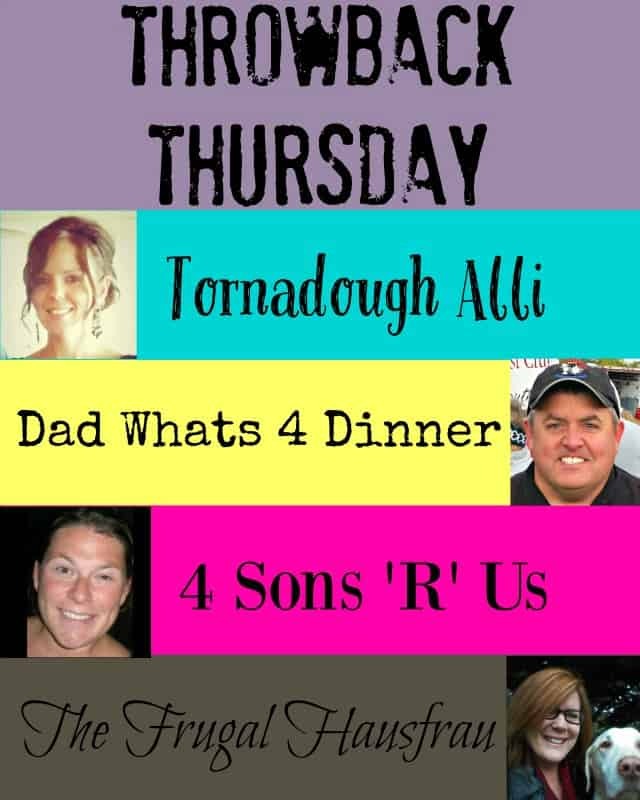 Welcome back to Throwback Thursday Link Party #18! Happy to see you all back. Can you believe that next week is Christmas? It has been creeping up fast on us this year! Have you all gotten your baking and shopping done? By the links you’ve all shared looks like you are well on your way! Guess what! We made it to 200 link ups, actually it was 201. We want to thank you for your continuous support of this party and sharing it so others can join. Since next Thursday is Christmas Eve we will forego the party to let you all spend time with your families as everyone celebrates Christmas differently! From all of us at Throwback Thursday we want to wish you all a safe and Merry Christmas! To get us all in the Christmas spirit lets share our best Christmas recipes, crafts, DIY and such! Like always, if you don’t have any posts that fit, that is totally ok, we still want you to party with us anyways! To view all the photos and links or to add your own, click on the blue button below! And Happy Holidays!! Hi, Mollie! 😉 Thanks for the party! I added a nice recipe! 😉 Have a nice friday! My pleasure! I’m having so much fun with Quinn & Alli & Meaghan!